Did you know that Githeri is one of the easiest foods you can make? It requires very little effort and time. 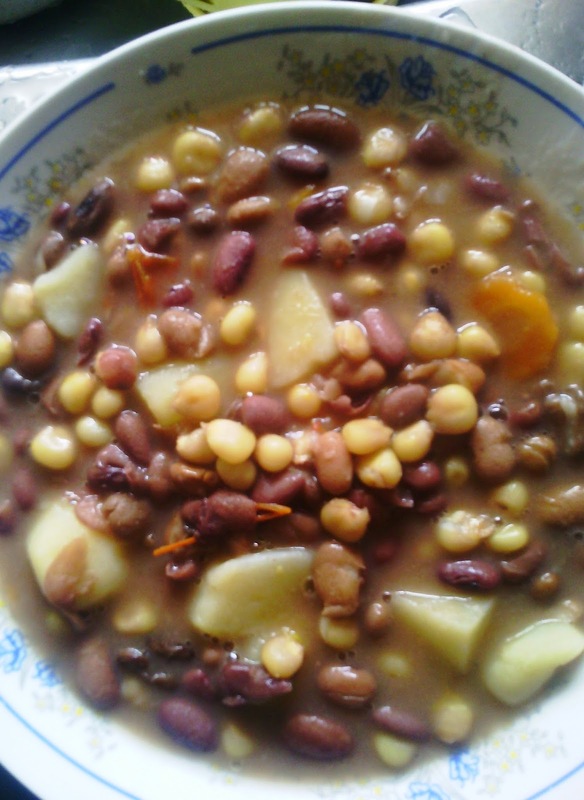 This is why many bachelors do not mind making Githeri as long as the boiling is done. 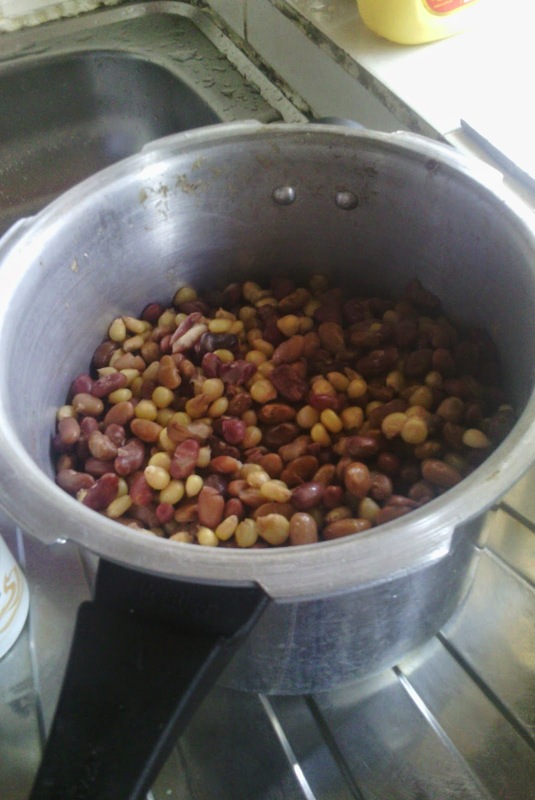 You can boil a good amount of githeri and keep it in the fridge for later use. Now for those nights you sit and wonder what to cook, just go to the fridge, toss a few vegetables here and there and you will have a good meal of delicious githeri in less than 30 minutes. 1. Place a large sufuria or pan on the fire. Add oil and let it heat before adding the onions and garlic. Let the onions cook until well browned. 2. Add the tomatoes and let them cook, until completely dissolved. 3. Add the potatoes and carrots and let them soak the tomato juice. Tip: If you like your carrots crunchy, it is best to add them together with the potatoes. If you like them well-cooked, you can add them with the tomatoes. 4. Add the boiled Githeri and stir, mixing well with the vegetables. 5. Add 2 cups of water and let it simmer on low heat for 10-12 minutes. Check if the potatoes are well cooked and remove from heat source. 6. Let the Githeri sit for 10 minutes before serving. Serve with avocado and enjoy you simple and delicious Githeri. Love it! Share your results when you try this! This looks so good! I wonder if I could find "githeri" in the U.S.? Do you know what bean could substitute for this? Sister, daughter, lover,blogger, amazing woman among others. Hope you enjoy being here. this weekend + giveaway winner announced!